Like so many around the world, I have been riveted over the past two weeks by the story of the junior soccer team and their coach, trapped deep in the Tham Luang Nang Non cave in Thailand’s Chiang Rai province for nine days, before being reached by rescue teams. At the time of writing, various plans are being mooted to bring the boys back to the surface, which include teaching them to swim and dive, with and without SCUBA tanks. A challenge in itself, but rescuers are also racing against the clock, with fears that impending monsoonal rains will complicate the rescue efforts and prolong the entrapment. The story unfolds like an implausible thriller — testament to the maxim that truth is stranger than fiction. Media reports suggest the boys are in sound mind and good spirits, and I am filled with awe and admiration for them. Their coach, Ekaphol Chanthawong, aka ‘Coach Eak’, has been credited with keeping the boys calm and hopeful by teaching them meditation. Letters from the boys to their parents mention missing family members and food, together with requests for teachers not to give them homework. The cave in which the boys are trapped is part of a vast complex of karst mountains (defined by Wikipedia as “a topography formed from the dissolution of soluble rocks…[and] characterized by underground drainage systems with sinkholes and caves”) formed thirty million years ago when the Indian subcontinent collided with mainland Asia. I try to imagine what it would feel like to be trapped for so long underground in those labyrinthine caves. I first encountered caves like this on a visit to Chiang Rai province in 1992, when locals took a Canadian friend and I to visit a temple cave. I’ve since visited mountain caves throughout Thailand, Laos, Vietnam, Cambodia and Malaysian Borneo. 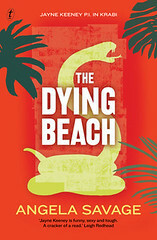 In my third novel, The Dying Beach, a mountain cave complex in Krabi province allows the antagonist a temporary reprieve from his pursuers. He walked several metres into darkening shadows, inching forward, anticipating the bump on his forehead where the gap in the rock narrowed. He was vaguely aware of voice in the cavern behind him as he dropped to the floor, crawling on his hands and knees through cool, damp stone. I’m conscious that ‘the welcome cover of darkness’ for my fictional character must, in real life, be disturbing, if not terrifying for the trapped boys. There are many remarkable aspects to this still unfolding story. This morning I read about a group of birds’ nest collectors from Ko Libong, nearly 2,000 kilometres away, who are lending their rock-climbing efforts to the rescue mission, scaling the mountain where the boys are trapped to look for a hole or ‘chimney’ that might provide an alternative escape route. The birds’ nest hunters apparently organised ‘a whip around’ their village to pay for their flights to Chiang Rai after seeing the boys’ plight on the news. I have great respect for the resilience of the boys and the coach, their families, the Thai Navy SEALS, and all those in Thailand and from around the world who have turned up to help. I hope for the sake of the boys and their families that they will soon re-emerge into the light. Failing that, I hope their resilience can sustain them for as long as it takes for them to be rescued. I was fit to burst with excitement when author Jenny Ackland (Little Gods) recently invited me to be part of a Bad Diaries Salon in Geelong next month. Bad Diaries Salon was established by Jenny in mid-2017 with a call out on Twitter: were there any writers who still had their old, bad teenage diaries, and would they be prepared to read them live? As noted on The Bad Diaries Salon Facebook page, the response was overwhelming. (You can read more about the history of Bad Diaries Salon on Jenny’s blog). The theme of next month’s Bad Diaries Salon is FIRST. I’ll be joining my friends and fellow authors Robert Gott (The Port Fairy Murders), Rosalie Ham (The Dressmaker), Tracy Farr (The Hope Fault), Jock Serong (The Rules of Backyard Cricket), and Leah Kaminsky (The Waiting Room), to read for ten minutes each from our early, unedited works; Jenny Ackland will moderate. To prepare for the FIRST Salon, I have (literally) dusted off the early notes for my three novels. 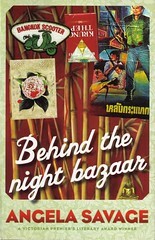 I managed to find some field notes from my visit to Chiang Mai in 1999, which inspired the plot of my first novel, Behind the Night Bazaar. These notes morphed into the first draft of a scene in the book as I wrote them. Spoiler alert: it’s all telling, no showing. Bad Diaries Salon: FIRST takes place on Wed 11 July at 6.30pm at the Geelong Library and Heritage Centre. Bookings here. I’ve been neglecting this blog, not for want of ideas for posts and news to report, but for time. I thought the least I could do is to share a podcast I recorded recently for Write Through the Roof. In Write Through the Roof , writer Madeleine d’Este interviews different types of writers to seek their insights into the question: ‘What’s the one thing that elevated your writing to the next level?’ Write Through the Roof is pitched at writers who want to learn how to improve their craft. To listen to my interview with Madeleine, click here. In preparation to be interviewed by Madeleine, I listed to a number of her interviews, and particularly enjoyed those with Kaaron Warren, Angela Slatter and Charles Chu. Though none of these writers writes in the same genres as me, I found gems in each of their interviews. You can subscribe to Write Through The Roof here. One of the perks of my role as Director at Writers Victoria is the annual meeting of writers’ centre directors from around Australia, which takes place in Adelaide just prior to the start of Adelaide Writers’ Week, part of the Adelaide Festival. I’ve always wanted to go to AWW: it takes place outdoors in a public garden, the sessions are free to attend, and the program is always outstanding. 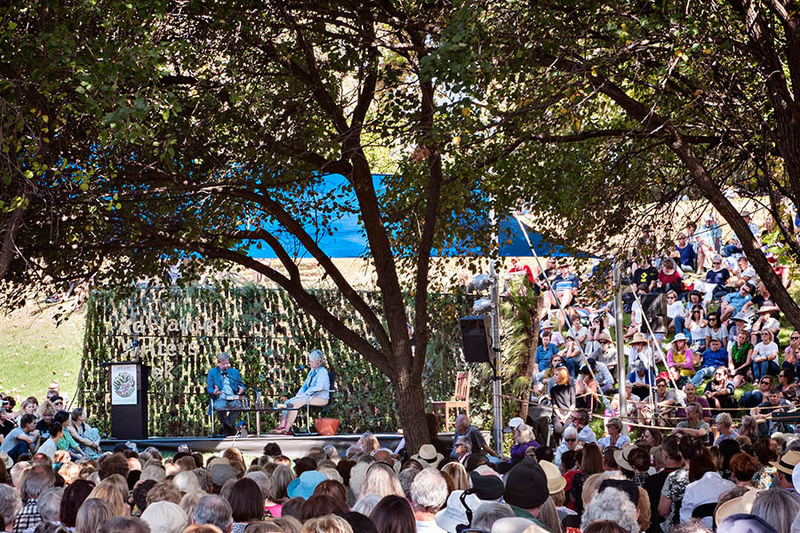 That the author of one of my top five favourite books of all time, Barbara Kingsolver, is among this year’s guests is the icing on the proverbial cake. I also have the good fortune to be on the program, chairing a couple of sessions with some exceptionally talented authors. On Sat 3 March at 10.45am on the West Stage I will be interviewing New Zealand author Catherine Chidgey and American author Rachel Khong about their respective novels The Beat of the Pendulum and Goodbye, Vitamin. I also read Chidgey’s award winning novel The Wish Child, and tried a few recipes from Khong’s All About Eggs in preparation for this panel. The session is called The Memory Game and, judging from the research I’ve been doing into these two authors, it promises to be a fascinating discussion. On Sun 4 March at 4.00pm, also on the West Stage, I’ll be interviewing Michelle de Krester about her latest novel The Life to Come, and Felicity Castagna about her novel No More Boats in a session called Boat People. Again, the fierce intelligence of these writers promises to make this an excellent discussion, and I admit to being more than a little anxious at the prospect of interviewing them. When not chairing, I will be attending sessions with enthusiasm. I look forward to hearing from some international authors whose work I greatly admire, including Kamila Shamsie, Sarah Sentilles and, of course, Barbara Kingsolver. Also hoping for face-to-face meetings with people I’ve met online, catch ups with friends in Adelaide, and seeing some of my Melbourne mates who are on the program, because, you know, sometimes you have to travel interstate to make time to catch up. 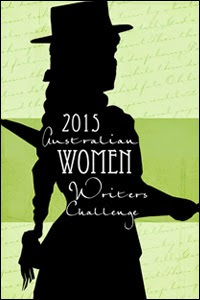 Anyone else planning to attend Adelaide Writers Week? What are your must-see sessions? 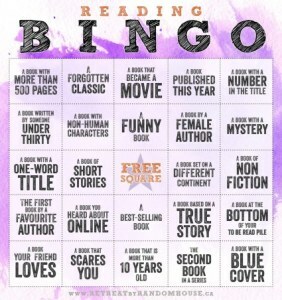 I’m back for another round of Reading Bingo, a framework for reflecting on what I read this year. It was a strange year for me reading-wise, dominated in the first two-thirds by reading for my PhD (which I wrote about here), and in the last few months, by recovering from reading for my PhD. For weeks after completing my thesis, I found it almost impossible to concentrate on full-length novels, opting instead for short stories, even vignettes (Mortification: Writers’ stories of their public shame edited by Robin Robertson was particularly therapeutic). I started numerous novels and put them down again — very unusual for me — only going back to finish reading them as the year draws to a close. I read less books than I usually would in a year, though I suspect there may be a few I can’t remember reading. So welcome to my eclectic reading year. 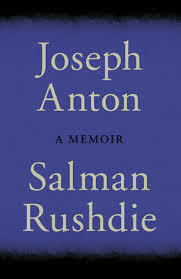 Rushdie notes advice he was given as a student by his history professor: ‘You must never write history until you can hear the people speak.’ Rushdie writes that ‘it came to feel like a valuable guiding principle for fiction as well. If you didn’t have a sense of how people spoke, you didn’t know them well enough, and so you couldn’t—you shouldn’t—tell their story’ (2012, p. 40; emphasis in original). 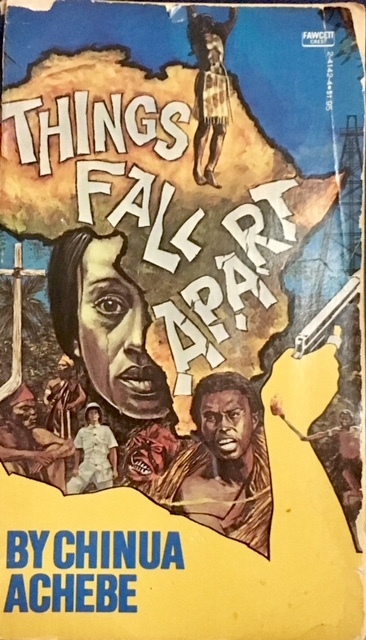 A forgotten classic/A book at the bottom of your To Be Read pile: I don’t know that Things Fall Apart is a ‘forgotten’ classic as such, but it’s a novel that I’d been meaning to read for some time. Again, I was drawn to Chinua Achebe’s 1958 novel outlining the impact of colonialism on traditional life in Nigeria through my PhD research. Achebe’s is a novel cited by Edward Said in Culture and Imperialism (another book I read in 2017) as an example of ‘the Empire writes back’ (a phrase coined by Rushdie, from memory). Where the Africans in Joseph Conrad’s novel grunted, Achebe made them speak. In writing about Igbo culture from an African point of view, Achebe challenges the assumptions about African savagery and primitivism that underpinned colonialism. 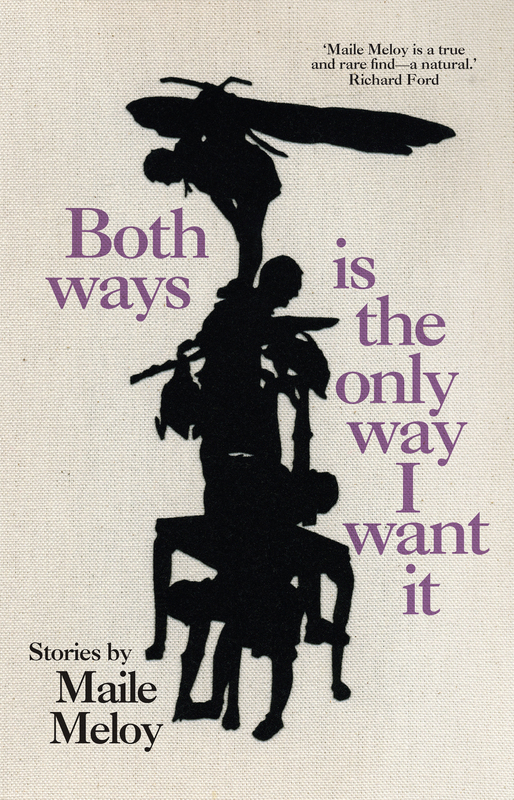 A book that became a movie: My pick here is Maile Meloy’s Both ways is the only way I want it, a collection of short stories, one of which, ‘Travis, B’, was among three Meloy short stories adapted by Kelly Reichardt for her luminous film, Certain Women (2016); the other two, ‘Tome’ and ‘Native Sandstone’, appear in Meloy’s collection Half in Love. Though I’d bought Both ways is the only way I want it several years ago after hearing Meloy speak at the Melbourne Writers Festival, I hadn’t got around to reading it, until winning a double pass to see Certain Women at ACMI (thank you Readings) bumped it up my TBR pile. Both the book and the film are clever, precise and immersing. Highly recommended. 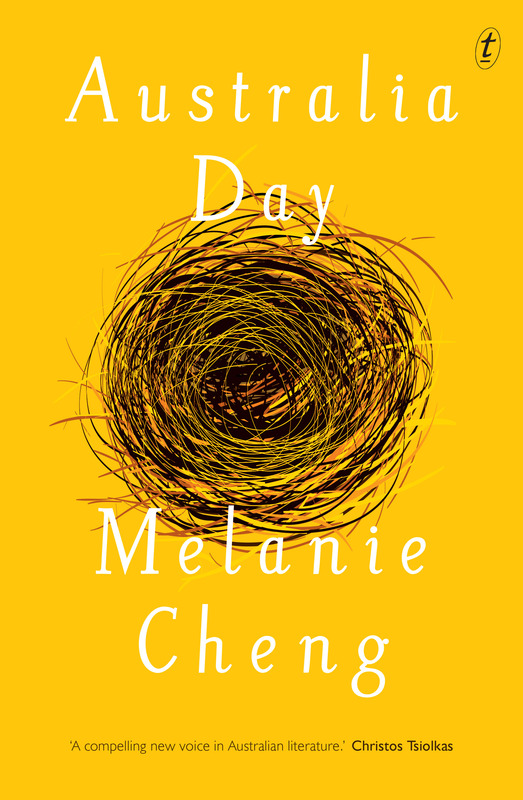 A book published this year: Ten out of the 41 books I read in 2017 were published this year, including Melanie Cheng’s short story collection, Australia Day. In a year in which the legitimacy of celebrating a national holiday on a date that marks the start of an attempted genocide against Australia’s first nation people has been called into question, Cheng’s collection depicts a multicultural Australia in which many of us struggle to find a sense of belonging. But Australia Day is by no means a bleak book. At times inspiring, always intelligent, Australia Day won the 2016 Victorian Premier’s Award as an unpublished manuscript, and is shortlisted for the 2018 Victorian Premier’s Literary Award for Fiction. A book with a number in the title: a box I have to leave un-ticked this year. A book with non-human characters: another box I have to leave un-ticked this year. A funny book: My friend Stephen Russell describes Ryan O’Neill as ‘an insane genius’. 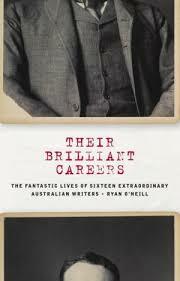 Certainly, Their Brilliant Careers is work of insane genius, a collection of biographies of invented, (in)famous Australian writers, whose lives are linked in various ways, resulting in a work that reads like a novel. Among my favourite characters is Addison Tiller, master of the bush yarn, known as ‘The Chekhov of Coolabah’, who never travelled outside Sydney. The stories/biographies themselves are laugh out loud funny, although it was the index that really set me off. Shortlisted for the Miles Franklin Award, Their Brilliant Careers went on to win the Prime Minister’s Award for Fiction, an astonishing achievement for a comedic novel. A book by a female author: again, I marvel how this can even be a bingo reading category: 23 out of the 41 books I read this year were written by women writers. 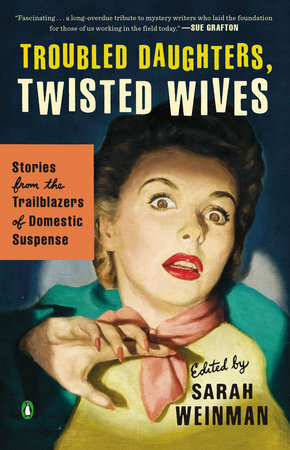 The one I’m highlighting here is Troubled Daughters, Twisted Wives, edited by Sarah Weinman, a collection of short stories by 14 women writers dubbed ‘the trailblazers of domestic suspense’, written between the 1940s and 1970s. Several of the featured authors, such as Dorothy B Hughes, Charlotte Armstrong and Elisabeth Sanxay Holding, wrote novels that were made into noir films. Others, like Edgar award winner Margaret Millar, continue to inspire contemporary crime writers. Among the most memorable stories in the collection is the deeply creepy ‘Mortmain’ by Miriam Allen Deford, set in a nursing home. A book with a mystery: Though an avid reader and writer of crime fiction, I didn’t read as many crime novels in 2017 as I normally would — only eight out of 41. 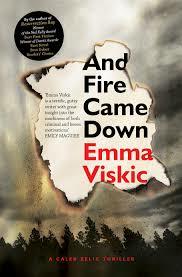 However, Emma Viskic’s And Fire Came Down, was the first full-length novel that I managed to read from cover to cover after finishing my PhD. Published this year, And Fire Came Down is the sequel to Viskic’s multi-award winning debut Resurrection Bay. Both novels feature profoundly deaf protagonist Caleb Zelic, whose extended family links take him into Indigenous communities in Victoria’s southwest. With its tight plotting, convincing characterisation and evocative settings, And Fire Came Down got me out of my anti-novel slump. A book with a one-word title: Another contender for my favourite crime read of 2017 is Mark Brandi’s debut novel, Wimmera. 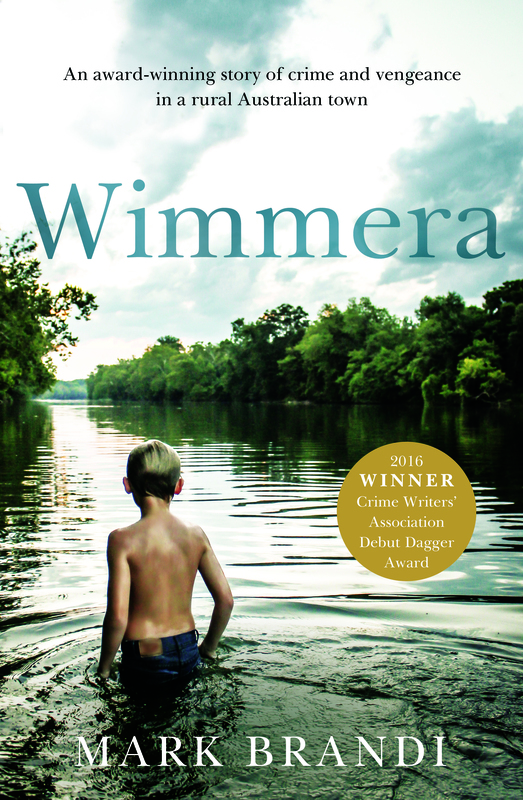 Winner of the Crime Writers Association Debut Dagger, Wimmera might be described an anti-coming of age story, set in rural Australia. Literary crime fiction appears to be becoming increasingly popular in Australia, but not everyone can pull off the balance of lyricism and pace required to make a book succeed as both crime and literature. To my mind, Mark Brandi aces it. In the interests of full disclosure, I had the pleasure of helping Mark to launch Wimmera at Readings earlier this year, also interviewing him at the National Writers Conference in June, as part of Melbourne’s Emerging Writers Festival. 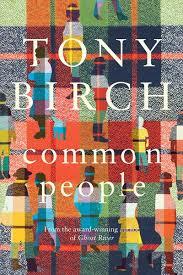 A book of short stories: A short story collection that I greatly enjoyed this year was Common People by indigenous Australian writer Tony Birch. Birch writes lyrically, with affection but without sentimentality about people whose lives are not commonly featured in literature — at least, seldom in ways as nuanced as in these stories. For me, Birch is the literary equivalent of the nineteenth century French realist painters, who shunned famous or exotic subjects in favour of finding truth in ordinary life. I also had the great pleasure of hearing Tony Birch and Melanie Cheng in conversation as part of the 2017 Melbourne Writers Festival, where I bought this book. Free Square: Every year I like to read something that is way outside my usual reading zone. 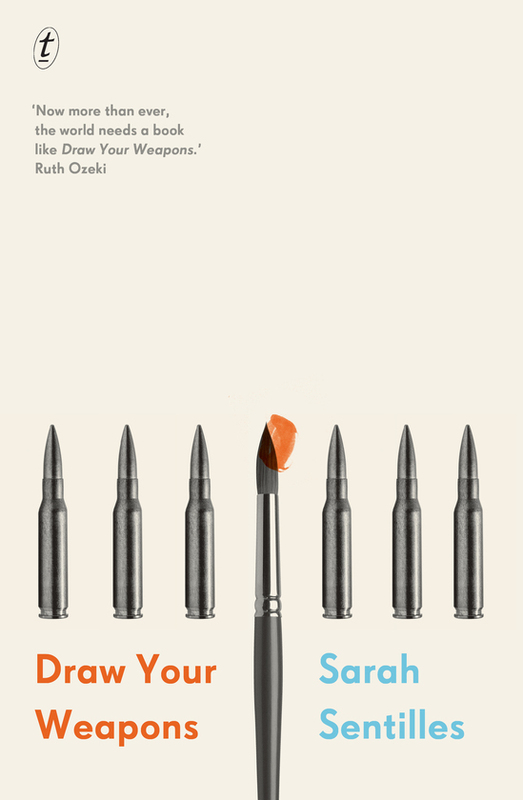 This year, it was Draw Your Weapons by Sarah Sentilles, recommended to me by Lucy Ballantine at Text Publishing. Draw Your Weapons centres around two ‘characters’: Howard, a conscientious objector during World War II, and Miles, a former prison guard at Abu Ghraib. Framed by these personal stories, Sentilles draws on memoir, history, philosophy, literature, art theory and theology to produce a captivating meditation on art and war, written in the style of a collage. 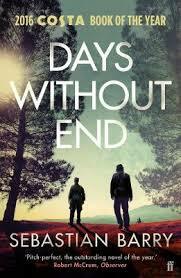 At the heart of the book is the revolutionary idea of imagining what a world without war might look like. A unique and valuable read. A book of non-fiction: I read more non-fiction than usual this year on account of my PhD, including three full-length academic works and two books of interviews with Australian writers: Charlotte Wood’s The Writer’s Room and Annette Marfording’s Celebrating Australian Writing. 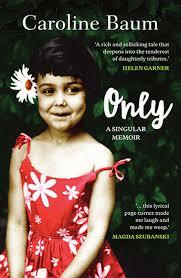 Of the four memoirs I read in 2017, I’m singling out (no pun intended) Only: A Singular Memoir by Caroline Baum. The intensity of being the only child of traumatised parents is the unifying theme in Baum’s memoir, which is beautifully written and admirably unapologetic. I interviewed Caroline about Only at Geelong’s Word for Word Festival in November, an experience that only added to my admiration of her as a writer and person. 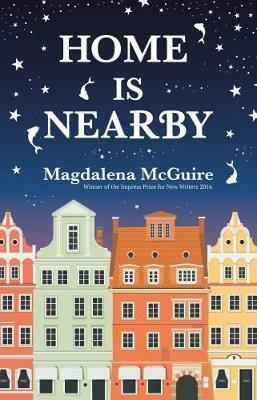 The first book by a favourite author: I had the great pleasure of reading Home is Nearby by Magdalena McGuire as a manuscript, thanks to the two of us having a PhD supervisor in common. Magdalena won the UK Impress Award based on the first three chapters of the novel. I was totally swept away by the power of the writing in this story of a group of avant-garde artists during the Polish Crisis of the 1980s. I subsequently bought the published novel as a Christmas gift to myself. Magdalena is also an award-winning short story writer and I’ve been blown away by everything I’ve read of hers. Hence my confidence that this is the first book I’ve read by someone destined to become a favourite author. A book you heard about online: A conversation on Facebook between writers Lucy Sussex and Claire Corbett lead me to the latter’s ‘genre ambiguous’ novel, When We Have Wings. While only tangentially about surrogacy, it is easy to see how surrogacy could flourish in Corbett’s futuristic society, where the wealthy obtain wings and genetically alter their bodies to enable them to fly, congregating in Flierville, a city designed to accommodate Flight. Non-fliers are forced into Edge City, the slum-like kampungs, or the Rural and Regional Areas. 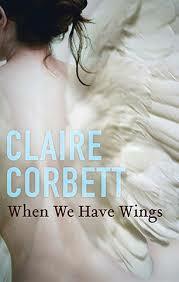 When We Have Wings is a captivating read, the descriptions of human flight so convincing that, months later, I still fantasize about what colour wings I’ll choose once biotechnology makes possible Corbett’s equally compelling and disturbing vision. 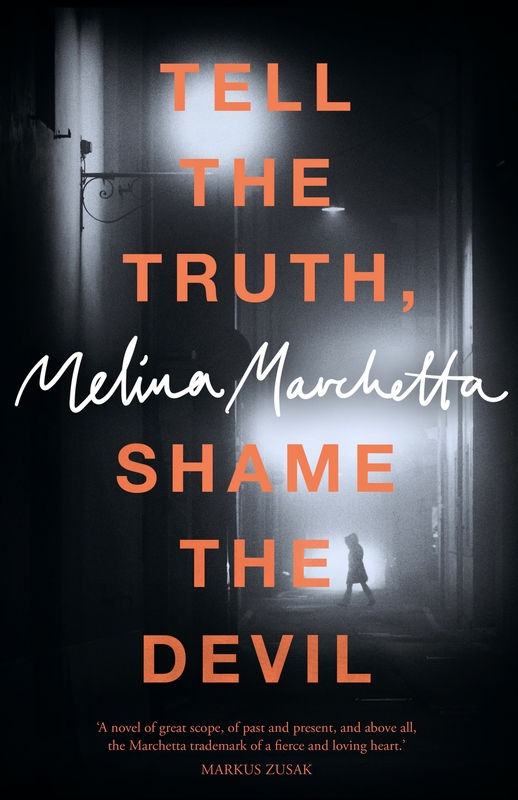 A best-selling book: I’m honestly not sure if Tell the Truth, Shame the Devil, Melina Marchetta’s first foray into crime fiction, was a best-seller or not, though she is most assuredly a best-selling author, and if even half those who read and loved her classic Looking for Alibrandi read this one, it would have done well. Written before the terrorist attack that took place in Nice, France, in 2016, Tell the Truth, Shame the Devil is disturbingly prescient. The novel works as a fast-paced thriller, a convincing character study, and a meditation on the injustices that are done as a result of the assumptions we make. Melina Marchetta was an Emerging Writers Festival ambassador in 2017 and my enjoyment of this novel was enhanced by the pleasure of interviewing her at the National Writers Conference. A book based on a true story: In 1892, Lizzie Borden was charged with the axe murder of her father and step-mother in Fall River, Massachusetts. The following year she was acquitted of the crime, which remains unsolved to this day. 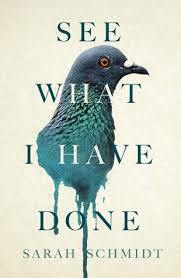 See What I Have Done, the debut novel of Australian author Sarah Schmidt, attempts to fill in the blanks. Written in four distinct voices, including Lizzie’s, See What I Have Done re-imagines the story in vivid and visceral detail — you can practically feel the humidity and smell the rotting meat coming off the page. Schmidt purports to have been inspired to write the story after being haunted by Lizzie’s ghost. Whatever the case, I found this a convincing and beguiling read. And it has probably my favourite cover of the year, too. A book at the bottom of your to be read pile: See, Things Fall Apart, above; A Thief of Time, below. A book that scares you: Regular readers of this (irregular) blog will know that I’m a great admirer of Jock Serong’s writing. 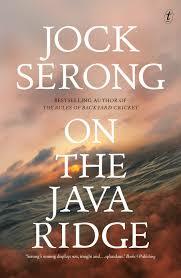 His 2017 novel, On the Java Ridge, was my nomination for the 2017 Melbourne City of Literature’s #cityoflitadventcalendar, where I described it as “brilliant, angry, gut-wrenching fiction; uncomfortable truths” (I was given a six-word limit!). The story is set in a not-too-distant Australia in which not only the incarceration of asylum seekers is privatised (as it currently is), but the policing of asylum seeker boats as well. A fast-paced, expertly written political thriller, the story scares me because its imagined horrific future scenario is entirely believable, given my country’s appalling and shameful treatment of refugees. A book that is more than 10 years old: I read eight books more than 10 years old in 2017. Tony Hillerman’s A Thief of Time was first published in 1988, part of his Joe Leaphorn/Jim Chee Navajo Tribal Police series. I’d been meaning to read Hillerman for years, fascinated by this author who writes outside his own culture, and whose work is praised by those he writes about: in 1987, Hillerman was recognised as a Special Friend of the Dineh (Navajo), and the Navajo and other First Nations people use his books in their schools. 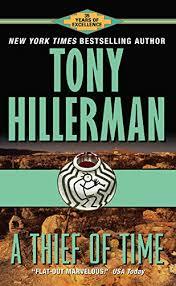 Added incentive to read Hillerman came when I was invited to Arizona, where many of his stories are set. 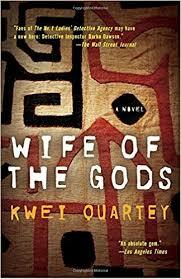 The plot of A Thief of Time centres on the ethics of anthropology, with the desert setting exquisitely evoked. The second book in a series: I was invited to chair several panels for the Melbourne Writers Festival Schools Program in late-August, but had to knock back most of them as I was due to finish my PhD that same week. 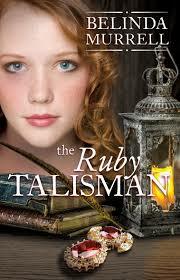 But I couldn’t say no to Belinda Murrell, not when her timeslip books were among my Miss Eleven’s favourites. I read several in this engaging and informative series in preparation for our panel , including the second, The Ruby Talisman, which opens in Versailles just as the French monarchy falls. Murrell doesn’t treat her readers with kid gloves: her feisty young female heroes must navigate violence, sexism and class conflict. 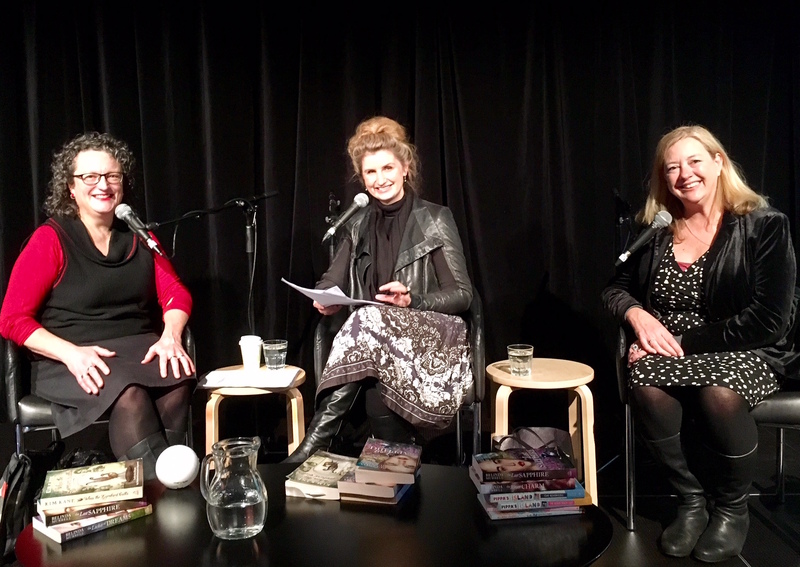 Also on the MWF panel was Kim Kane, author of When the Lyrebird Calls, another terrific Australian timeslip novel for young readers. 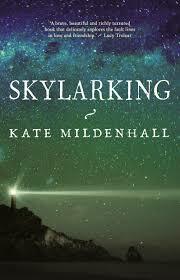 A book with a blue cover: I’ve come full circle here, as Skylarking by Kate Mildenhall was the book with the blue cover that I nominated in my Reading Bingo Challenge 2016 as the first book I would read in the new year. Skylarking got my reading year off to a great start. I tore through this bittersweet story of female friendship, envy and desire, set in a lighthouse-keeping community on a remote Australian cape in the 1880s. Having heard Kate Mildenhall describe how the book was inspired by a true story added to my enjoyment of it. And that I can still remember it so clearly one year on is a measure of the novel’s success. On the top of my TBR pile heading into the New Year is Home Fire by Kamila Shamsie, the first of her novels that I’m reading, having found her essays and commentary fascinating. Also the final version of Magdalena McGuire’s Home is Nearby, Jane Rawson’s Formaldehyde, Heather Rose’s The Museum of Modern Love, the latest in Sulari Gentill’s Rowland Sinclair series, A Dangerous Language, Krissy Kneen’s An Uncertain Grace, and Chimamanda Ngozi Adichie’s Half of a Yellow Sun. What’s on your summer reading pile? This year has been an eventful one for me; it’s hard to believe five months have gone by since my last blog post. But as the year draws to a close, I’ve finally made time to note a few recent milestones for the record. 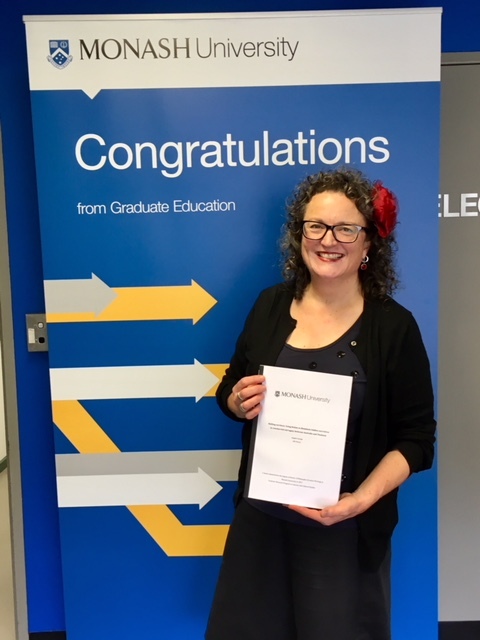 At the beginning of September, on pretty much the same day my scholarship expired, I finished writing my PhD thesis, consisting of a novel, Mother of Pearl, and an exegesis on the topic of commercial surrogacy between Thailand and Australia. A month or so later, after a final proof read, I formally submitted my thesis (see photo, left). At the time of writing, my PhD thesis is still under examination, so you can’t call me by my Bond villain name, Doctor Savage, just yet. With luck, I’ll know the outcome within the first few months of next year. In between finishing and submitting my PhD, I managed to find a new job as Director of Writers Victoria, which (as it says in our strategic plan) has the largest membership of any writers centre in Australia, and is the only organisation that works with writers all year round, across all styles and genres, at all stages of their development, and in all parts of Victoria. 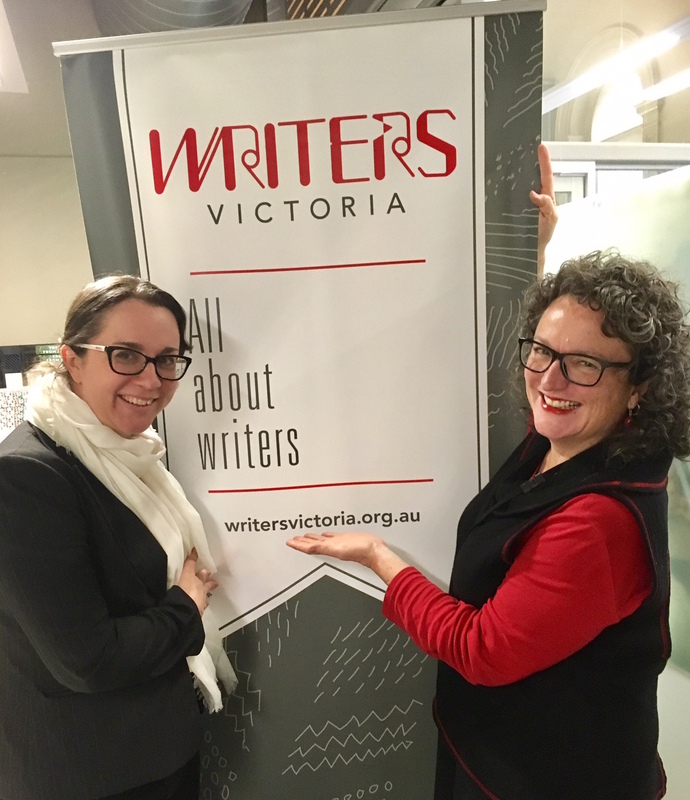 As someone who has been a passionate advocate for Victorian writers ever since I came to call myself one, I feel as though I’ve done a ten-year apprenticeship for this role without even being aware of it. It’s my dream job (news of my appointment made the online media), and a real privilege to be at the helm of an organisation where I’ve been a member and worked as a tutor for several years. (Above photo shows my predecessor, the exceptional Kate Larsen, passing on the banner to me). November also found me back at the Word for Word Non-Fiction Festival in Geelong. I’ve had the privilege and pleasure of being involved in this festival since its inauguration in 2014, for the past two years running masterclasses, as well as chairing panels. This year, I conducted a full-day workshop on Writing Essentials, saw Peter Carey give the opening night keynote address, and interviewed the very classy Caroline Baum about her book Only: A Singular Memoir. My last ‘formal’ gig of the year was to attend a Reading For Good meet up, a book club designed to celebrate female writers around the world. 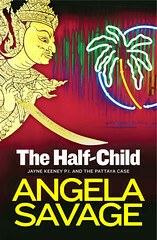 I was thrilled to have my second novel (my personal favourite), The Half-Child, included on the 2017 reading list, where it was in highly esteemed company. 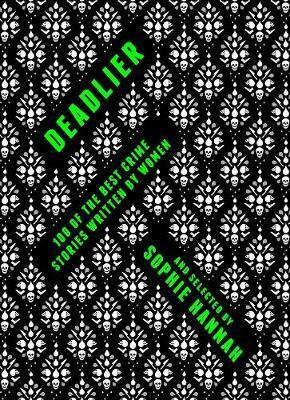 Another very cool thing that happened this year was that my short story, ‘The Odds’ (first published in the Review of Australian Fiction), was selected by UK crime writer Sophie Hannah for inclusion in the anthology Deadlier: 100 Of The Best Crime Stories Written By Women, published by Head of Zeus. As the blurb says, “From Agatha Christie and Daphne du Maurier, to Val McDermid and Margaret Atwood, women writers have long been drawn to criminal acts. Here, award-winning author Sophie Hannah brings together 100 of her favourite examples.” Having my work associated, albeit vicariously, with that of Agatha Christie, Daphne du Maurier, Val McDermid and Margaret Atwood is a career highlight, to put it mildly. In the midst of all this, Australia voted in favour of marriage equality. 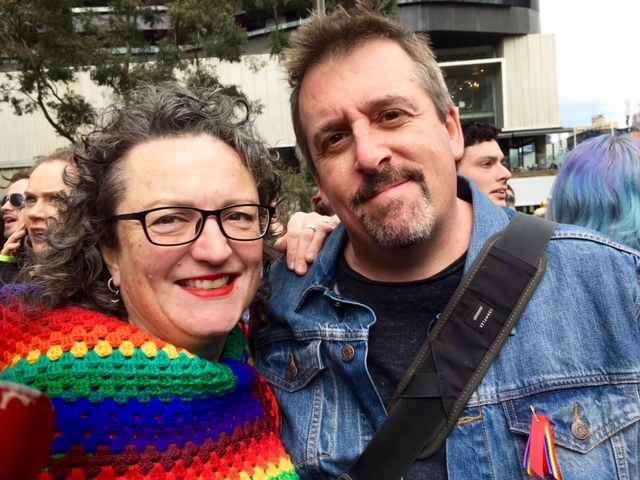 I couldn’t see why we needed a plebiscite to deliver just policy in this area, but at least the right result came about in the end (photo at left shows me and my partner of 27 years at one of Melbourne’s Marriage Equality rallies). An eventful year, as I say. In the New Year, I will reflect on my reading in 2017. In the meantime, I extend my heartfelt wishes to readers of this blog for a happy, healthy and relaxing festive season. I recently had the great pleasure of hearing Melanie Cheng speak at the opening of the Emerging Writers Festival. Her speech was just what I needed to hear that night, an exhortation — albeit modest and self-deprecating — to persist with writing, to not let yourself be defeated. I met Melanie later that night and read her award-winning collection of short stories, Australia Day, over the following week. Again, it felt like almost magical timing: Melanie’s thoughtful, often sparkling stories were just what I needed. Since she has blogged her EWF address, I’m taking the opportunity to share it here so that other writers might feel inspired, as I did. 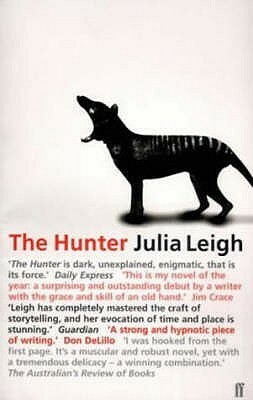 I also highly recommend Australia Day for inspiring, beautiful and intelligent writing. Last month I had the privilege of speaking at the opening night of the Emerging Writers’ Festival. This is a transcript of my speech. Thank you Izzy and congratulations Christian, you have a wonderful ride ahead of you. First and foremost I would like to acknowledge the Wurundjeri people who are the traditional custodians of the land on which we have gathered tonight. I pay my respects to Elders past and present and I extend that respect to other Aboriginal and Torres Strait Islander people who are in attendance tonight.